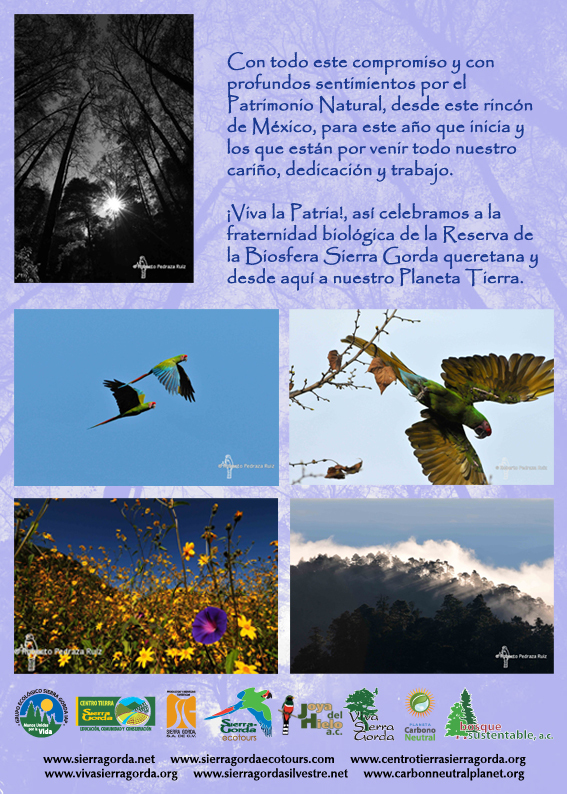 With profound commitment and feelings for our Natural Heritage, for the year that is beginning and many more to come, this corner of Mexico receives all our affection, dedication and work. Hail to the motherland! This is how we celebrate our biological family of the Sierra Gorda Biosphere Reserve in Queretaro State and from here to our Planet Earth.